I USED to be able to op shop in my lunch breaks. I worked close to a half dozen op shops and whenever I wanted a break from the computer screen I’d steer myself in the direction of my favourite fix. These days I work far from home and far from an op shop and because op shops don’t have opening hours to suit the weekday, long-haul commuter, my treasure hunting trips are less frequent. If travelling I’ll plan to visit an op shop, or two, and if free on a Saturday morning, I may factor in a lazy café jaunt close to where I know an op shop will be. Though the op shopping has been curbed, my passion for it has not and the pulse can still quicken over a recently deposited stash of fabrics, wool or pattern books; a new-to-me wardrobe piece in just the right cut and colour; something new for the kitchen or a book on a subject close to my heart. Blog posts about my finds are neglected too, with days, weeks and sometimes months between a purchase and a post to document the gem. Small piles of accumulated treasures stack up on the kitchen table, my bedside table, or the desk in our home office waiting for the day – especially in winter – when I’ll have good light or a surface clear to set up a photo. Most piles dwindle as the item comes into use, and the moment is lost. Winter knitting patterns are put away; ready to be looked over when I plan next year’s projects. A stash of linen yarn sits waiting for a summer knitting project I will take up soon. 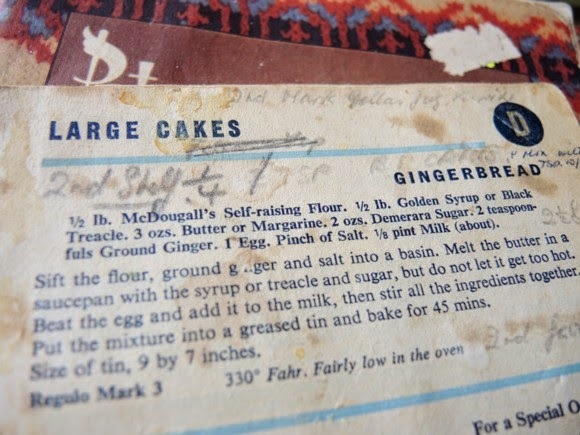 Ancient cooking pamphlets promoting flours and butters with recipes for scones and rock cakes and other ages-old tasty treats are tucked away on a shelf to be dragged out when the festive season baking begins – a page marked with notes from the previous owner falls open easily to a gingerbread recipe I hope to try. Elsewhere, a swath of cool cotton fabric harking back to the 1970s lies ready to be cut into a shirt for the coming summer and a jumper abandoned to the mending basket has now sat for so long I can’t be sure I like it enough to bother darning the few silverfish holes I’ve found in it. While the op shopping posts are light on, as is the op shopping, rest assured it’s not lost to me or my small corner of the world wide web. Happy National Op Shop Week to you all. 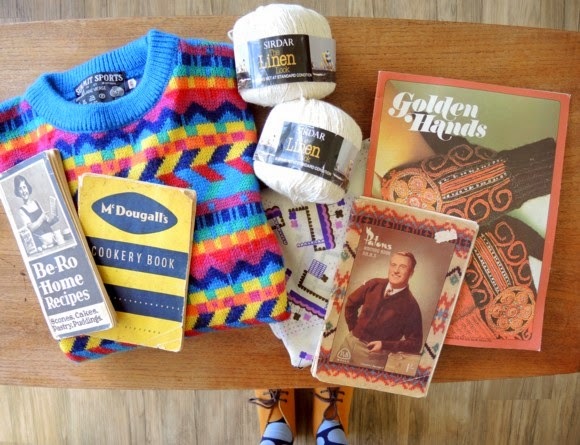 May the Op Shop Gods be with you. Living further away from op-shops really makes it more special when picking up a bargain. I miss the days of also being close to them so accidental finds would fill my house. I now live in a very small space and have to curb my choices. Clothes always wins.